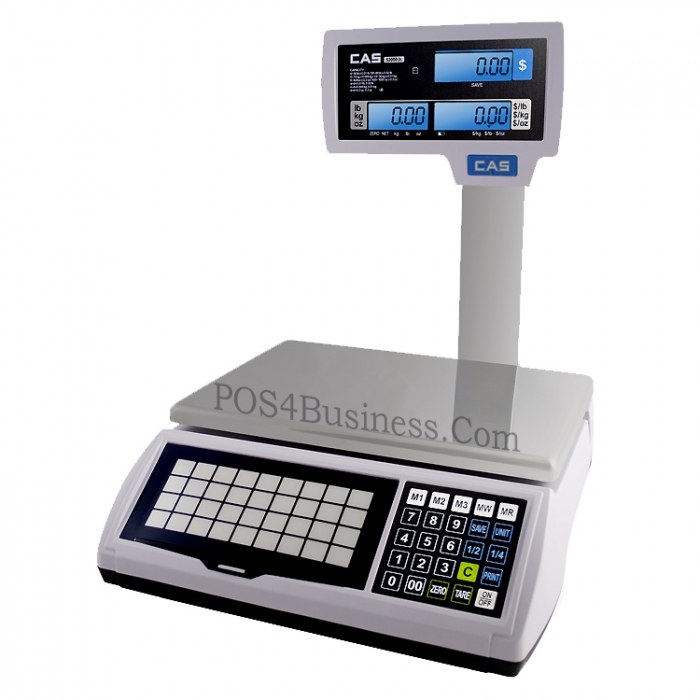 The S2000 Jr is a top of the line, fully featured price computing scale, ideal for use in many retail applications. Available in three capacities, 15, 30 and 60lb. Dual range technology allows for better accuracy. Choose from the standard bench model or pole model in LCD or VFD Display. The S2000 Jr Price Computing Scale is and an easy to use, portable price computing scale, with optional label printer. Legal for trade. Use in candy stores, specialty stores, farmer's markets, bakeries and more! !